For my family, Super Bowl Sunday would not be complete without a few good desserts! And while ice cream, cookies, or brownies might be the ‘go-to’ options, I find that a little bit of creativity can go a long way in the dessert arena. I am very excited to have been asked by Chobani to create some recipes using Chobani Greek Yogurt for the Super Bowl. 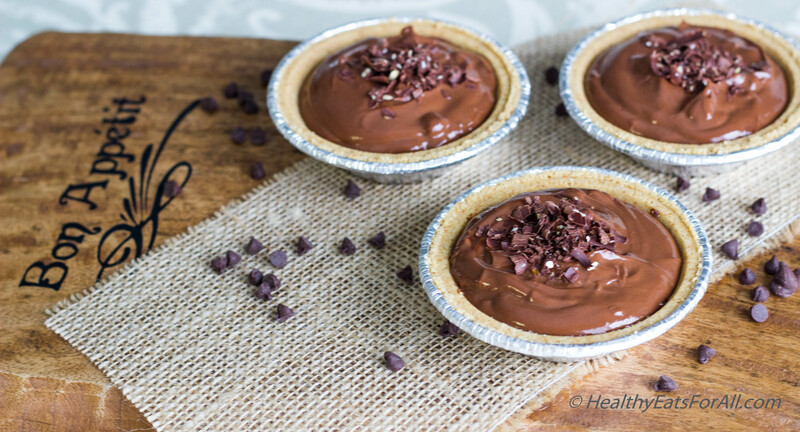 So as part of the #Chobani #deliciousbowl campaign, I’ve created a recipe for a healthy (but delicious) Chocolate Walnut Mousse Pie! 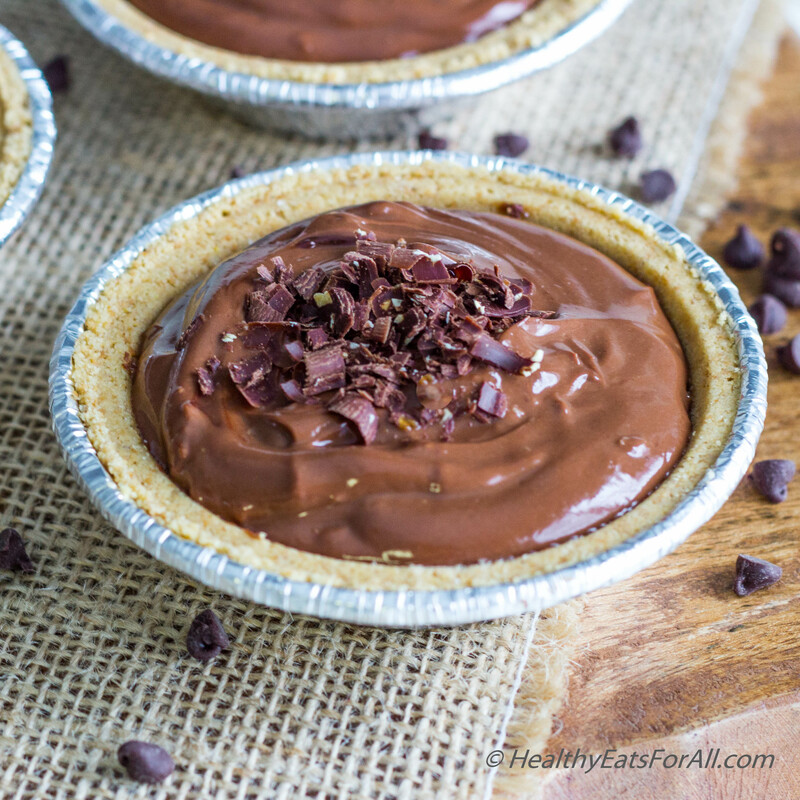 I love making this because the Chobani helps make it extra creamy while adding protein, and I don’t have to sacrifice any of the chocolaty goodness of this classic dessert. Just by swapping the heavy whipping cream with Chobani Greek yogurt, you can eliminate at least half the fat and calories. The walnuts add a little bit of crunch, but feel free to swap them with different nuts or omit them entirely if you have a nut allergy. Whether you’re a staunch Seahawks supporter or a passionate Patriots fan, you’ll be sure to love this dessert! Chobani plain non-fat Greek yogurt – 1 small container or 5.3 oz. Semi-Sweet chocolate chips – 2 oz. 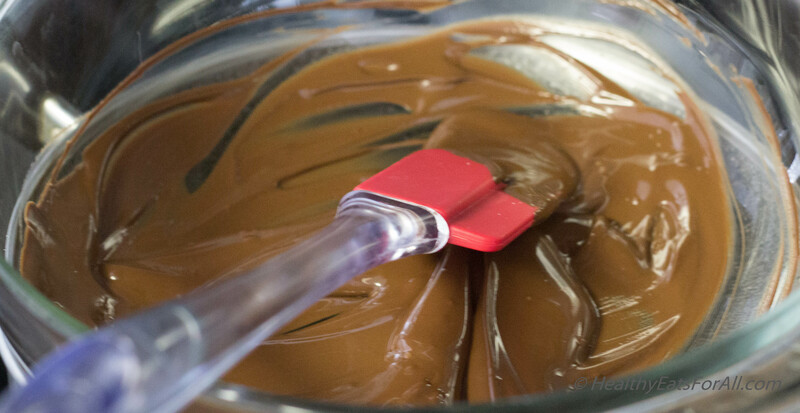 For this recipe you will melt the chocolate using the Double Boiler method. It’s very simple, hopefully the term doesn’t intimidate you! Take about 1.5 cups of water in a pan and heat it. 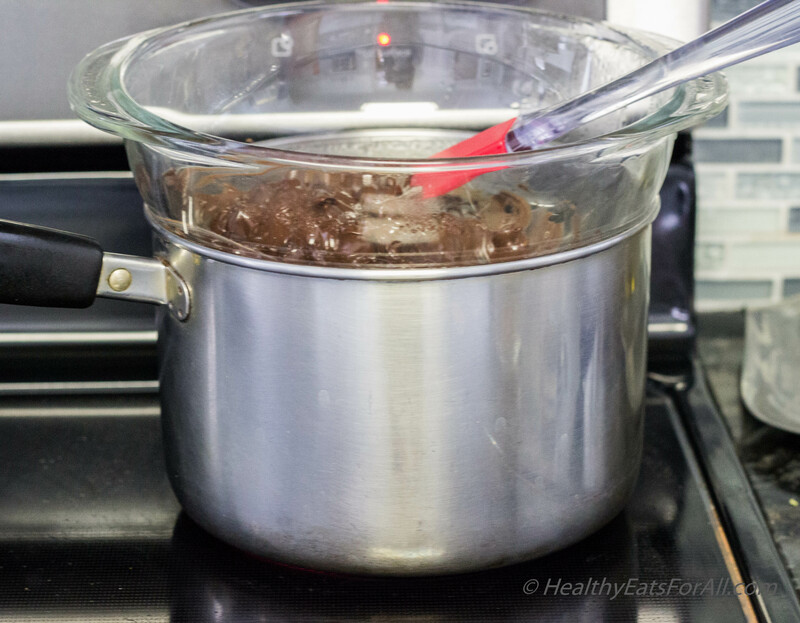 Once the water is boiling, lower the heat and place a Pyrex bowl or steel bowl on top of it. 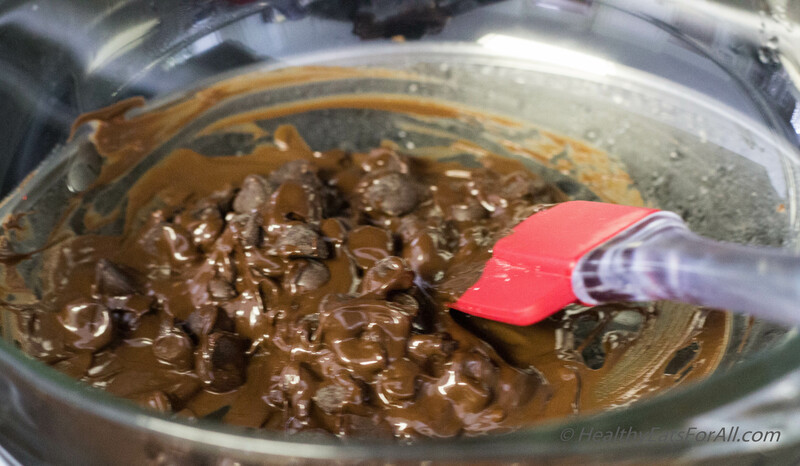 Add the chocolate chips in the bowl and stir with a spoon/spatula till completely melted. Once the chocolate has melted, remove from the pan. Add the plain Chobani Greek yogurt to it and mix with spatula till well mixed. Now using a spoon add the mixture to the pie shells. This is enough mixture to make 3 small pies or 3-4 small shot glasses. Sprinkle some chocolate shavings on top and refrigerate for an hour at least. In case you don’t have access to mini pie shells or want a dessert with lower calories, feel free to use shot glasses. 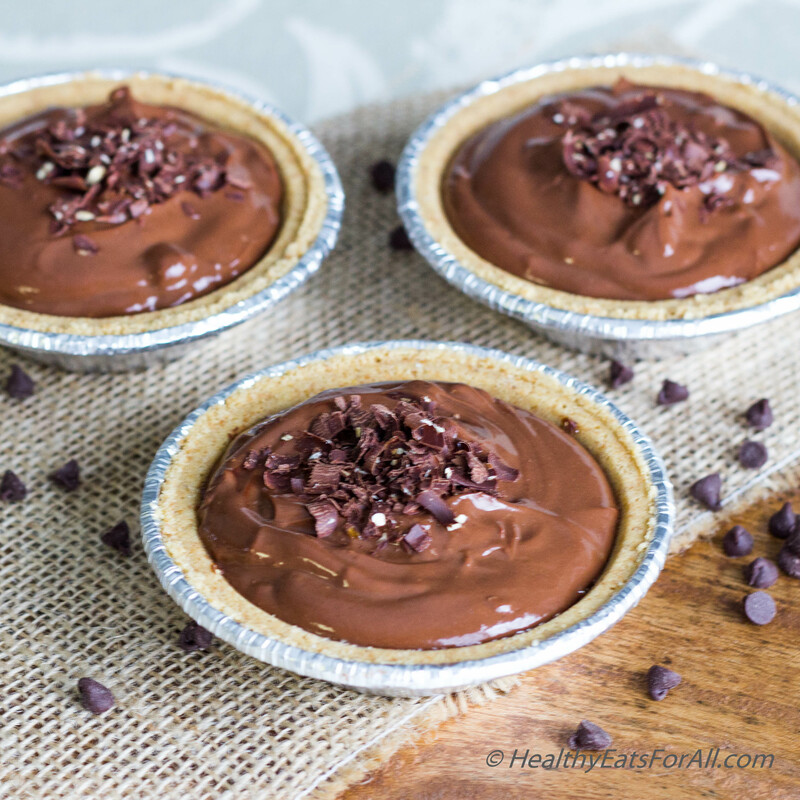 Crush up some graham crackers and layer the glasses with chocolate and crackers in them like I have done for the No –Bake Pumpkin Pie Mousse Cups. This recipe was also entered in the Anyone Can Cook Vegetarian contest. Looks tasty! 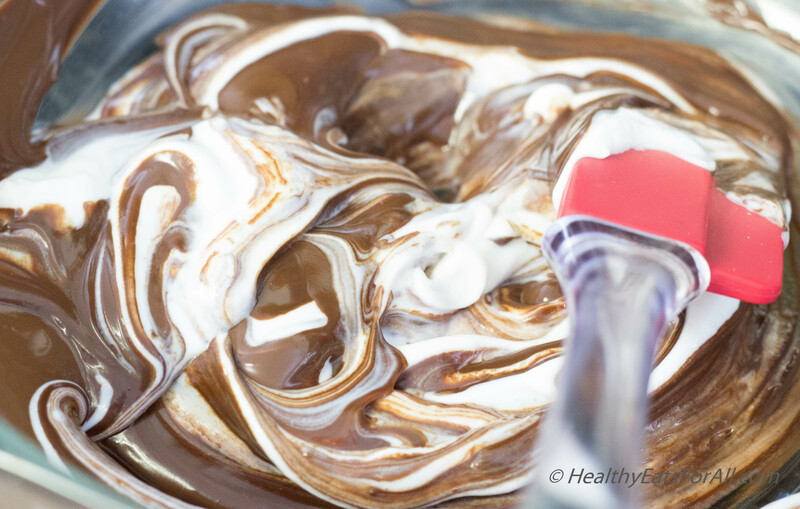 I love the idea of using yoghurt instead of cream in a chocolate mousse.